When washing your bike, don’t forget the underside of the frame and fork where the heaviest gunk resides. 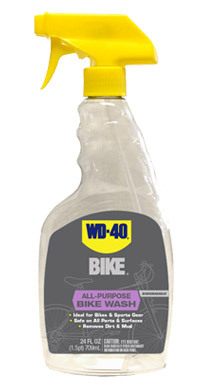 Spray your entire bike with WD-40® BIKE All Purpose Bike Wash, from top to bottom. Use a soft brush and work the product into all the nooks and crannies to get dirt moving.